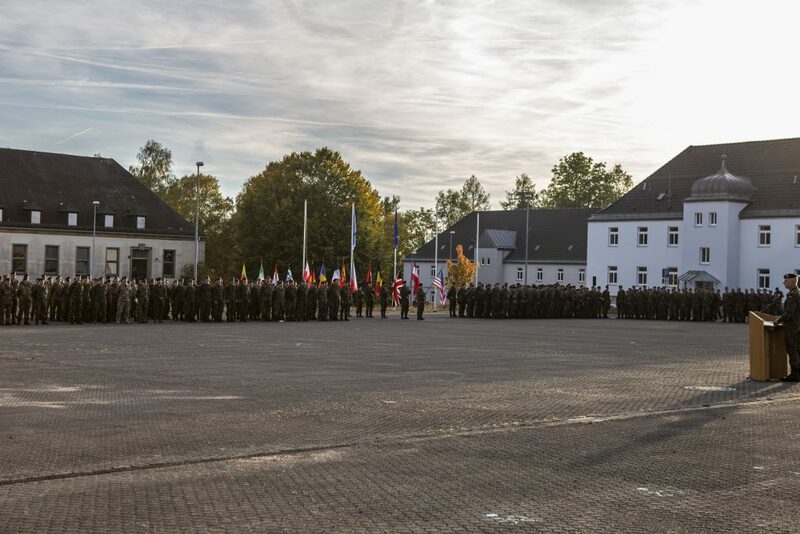 Wildflecken, More than 2000 soldiers train how to defend their partners in a possible NATO alliance case. 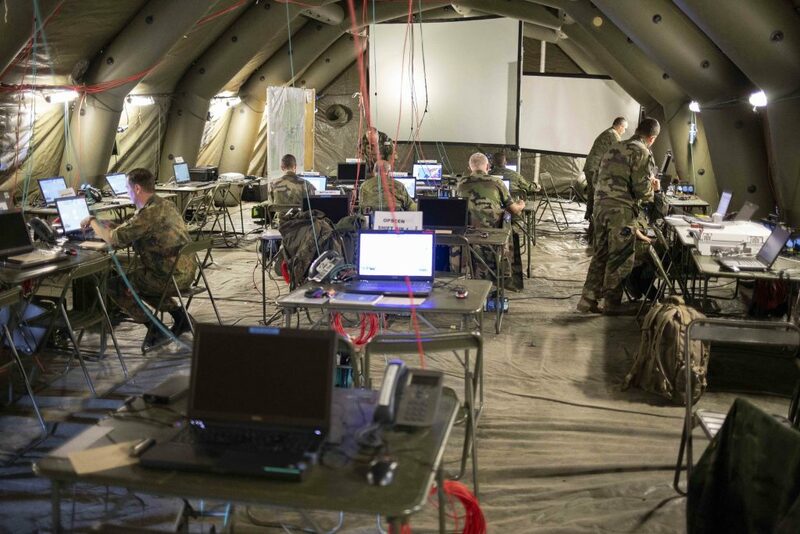 Unlike the TRIDENT JUNCTURE 2018 exercise, which takes place almost simultaneously, this exercise does not focus on the real combat troops but on the command structures. These range from the command of battalions and brigades to the division level up to the corps, or in NATO’s words, to the level of a Land Component Command (LCC). 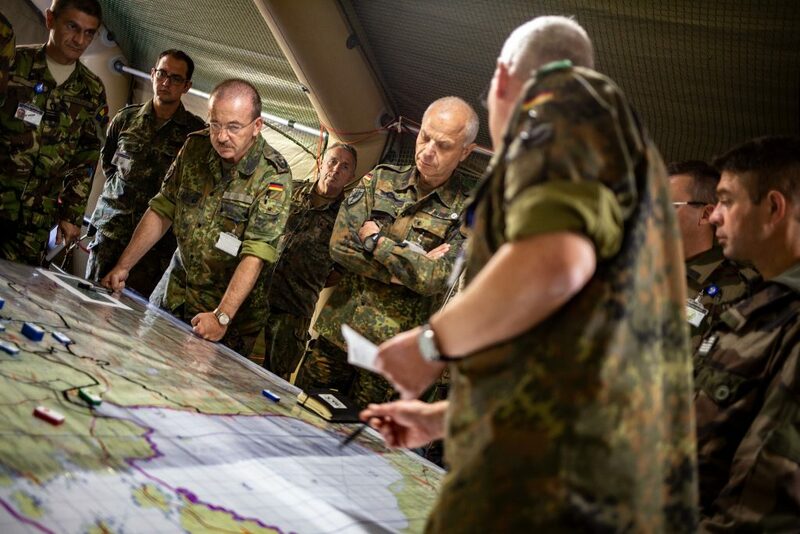 It is precisely this task that Eurocorps, based in Strasbourg, has to carry out for NATO in 2020 and thus be able to lead up to 60,000 soldiers in a high-intensity warfare. At a time when up to now primarily foreign deployments, which means troop sizes of up to 5,000 soldiers have been planned, this is a real challenge that requires a rethink on the part of everyone involved. The sheer size of the troops alone is impressive. If, however, this is entered into a modern simulation system and the planning and command of the battle are directly computer simulated, especially battles and losses, in real time, the differences quickly become clear. The Wildflecken military training area also offers a system and was therefore chosen as the training area. The German 10th Panzer Division with its subordinated brigades, supplemented by a Czech brigade and a Polish brigade, also participated in the exercise. The latter will be provided by the Very High Readiness Joint Task Force (VJTF) in 2020 and is thus the primary force for the Nato Response Force (NRF) and thus for Eurocorps as the responsible LCC. 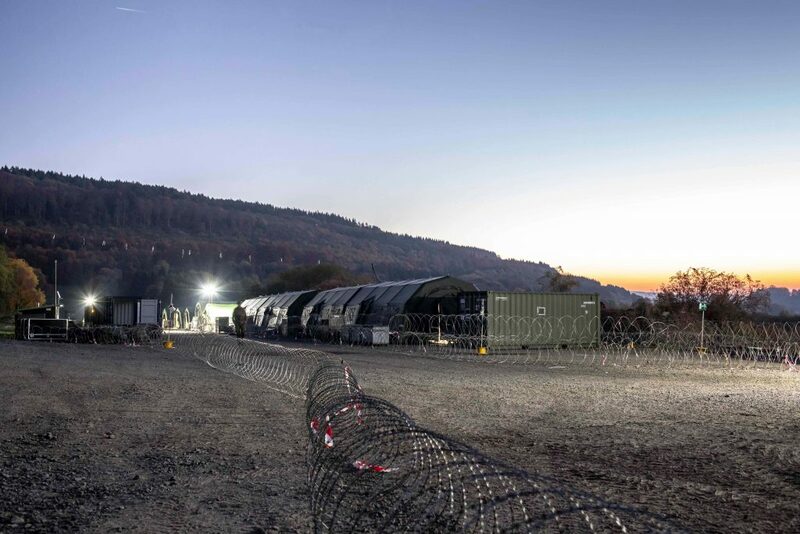 For the Eurocorps, the COMMON TENNACITY 2018 exercise represents the halfway point, so to speak. The actual preparations for the NATO mission started at the beginning of the year. At the same time, the last soldiers from the European Training Mission in Central Africa returned. The return of these soldiers marked the end of almost three years of commitment to the European Union, beginning in 2015 with the assumption of command responsibility in Mali and extending to a total of three rotations in Central Africa. But now NATO is on the agenda. For some years now, however, the NRF has also been undergoing change. While until 2015 the NRF’s readiness was rather a formality, developments in Ukraine and Crimea have made it clear that national and alliance defence are once again clearly in the foreground. The decisions taken at the NATO Summit in Warsaw in 2016 were correspondingly far-reaching: A clear acceleration of the NRF forces and the VJTF and the establishment of Enhanced Forward Presence (EFP) battalions in the Baltic states and Poland. The battalions are multinational, with the Federal Republic of Germany taking the lead for Lithuania. This has an impact on the planning and implementation of exercises. The mission is to engage in high-intensity combat against an opponent who is at least of equal standing. The initial tactical situation for CT 18 is as follows: Estonia, as a NATO ally, is attacked by an (imaginary) opponent. 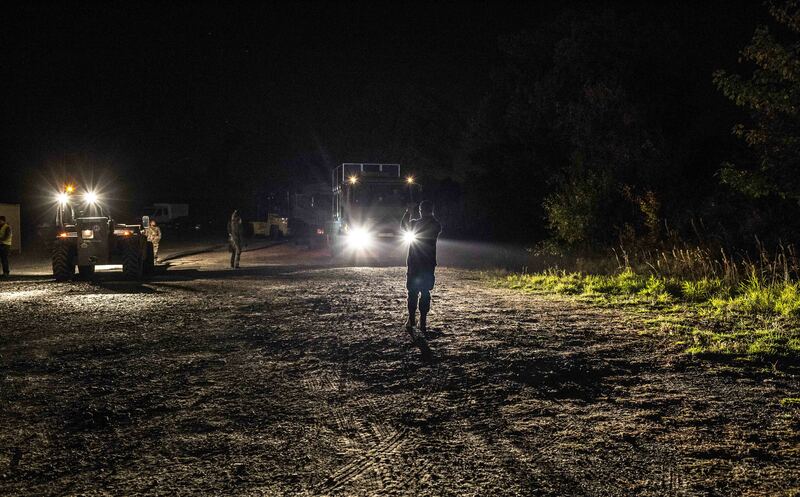 The Estonian armed forces defend themselves in cooperation with the EFP Battalion located in Estonia. At the request of the Estonian government, NATO sends the planned NATO intervention reserves under the leadership of a Land Component Command, the Eurocorps. 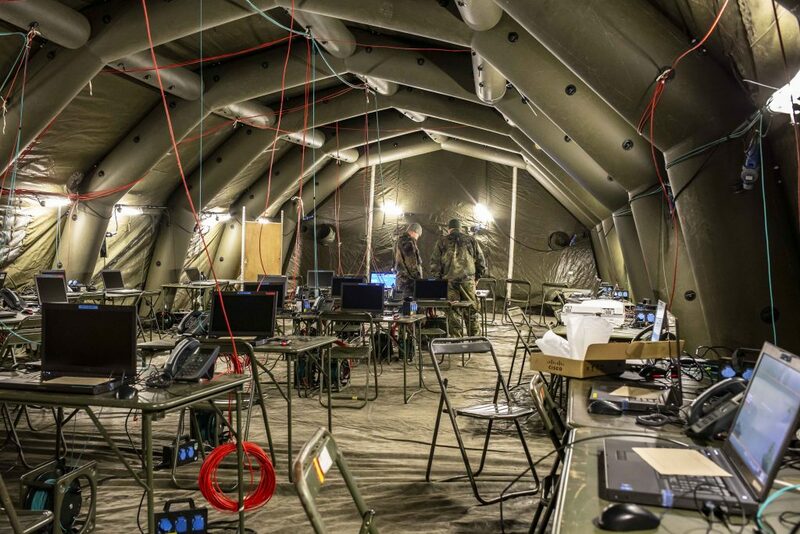 The Eurocorps staff is divided into a Rear Command Post (CP Rear) and an Forward Command Post (CP Forward). While the Rear Command Post is planned largely statically under a protective bell consisting of air forces, missile defence and ground forces, the requirements for the Forward Command Post are significantly different: Since this command post cannot be so well protected, its protection must be the movement and thus the regular jump. For the soldiers of the Multinational Support Brigade, an association that also reports directly to the Eurocorps in peacetime, this means hard work. At irregular intervals a command post with a size of 150 – 200 soldiers has to be dismantled and rebuilt dozens of kilometres away. In order to ensure uninterrupted command and control, an additional, albeit much smaller, tactical command post has been set up in the meantime. This is made possible by a special feature of the Eurocorps: it has almost 100 percent of the required material. The spectrum ranges from tents that can be quickly relocated to generators to the vehicles required for relocation. The material itself is multinational in composition, as each of the five frame nations contributes a part, and because the lack of material means that the tents can be used for the installation of the tents.